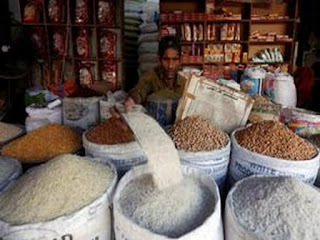 Haldwani (Uttrakhand) : Food retailers in Haldwani distict of Uttrakhand are openly selling plastic rice in markets. The Pal family of Halwdani bought rice from a confectionery. They found a variation in the taste of rice. The matter came to light when video of children playing with a ball made up of plastic rice went viral. "Consumption of plastic items relentlessly can cause cancer" said a doctor.